Let your company lawyer help you. This needs to be directed to your employer's Attorney who submitted the Extension documentation. Attorney would respond to the NOIR with your travel evidence, or lack thereof. 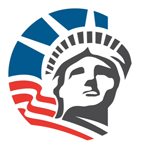 Please work with your attorneys to respond to USCIS. They should soon receive an official communications from USCIS and the last date to reply with evidence. Seems like a clerical error.